• A storage space and a HFSQL database used by the telemetry service to store and aggregate the collected data. PCSCloud includes specific platforms for the telemetry of WINDEV applications. 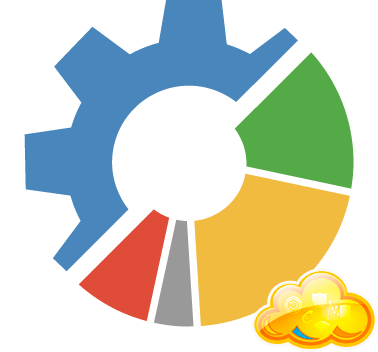 These telemetry platforms allows you to collect information regarding the use of your products developed with WINDEV. This allows you to find out how your products are used ; the most frequently used choices, the less frequently used choices, or the ones that are never used. You can also find out the calculation times and the response times of your applications in production, … and much more. See the WINDEV documentation for more details regarding the collected data and the telemetry. Then, you have the ability to analyze the collected data from a dashboard found in your WINDEV development environment. All the accesses to the telemetry platform are secured and reserved to authorized users. The services available on the Cloud telemetry platform are optimized for a full integration from the WINDEV development environment. Their use is extremely simplified. This allow you to concentrate on developing and managing your projects without having to worry about implementation constraints, maintenance and security of a telemetry server. The telemetry platforms are built to guarantee high availability, even in case of hardware failure. The platform automatically adapts to the load. The invoicing is performed on a monthly basis and it depends on the number of collected actions. A collected action corresponds to a user action in a given application. The initial telemetry platform allows you to collect 5 000 000 actions. A backup option can be enabled to perform a daily backup of your platform. This backup is performed on a storage space independent of the platform. Each backup is stored during 14 days.